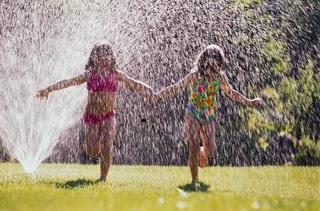 Sprinklers scatter rainbowed droplets, fruit juice popsicles melt into sticky purple smiles, and school-age children are home in force. Play dates, park days, and soccer van trips easily fill the week. Preschoolers often find themselves in a sea of unaccustomed activity in June.The euphoria of having their school-age siblings around all day, every day, suddenly burns off and can leave preschool children giddy, unsure of this new system, and acting out. These anxieties may be triggered in preschoolers for any number of reasons: a new baby or adopted siblings coming soon; an upcoming move; starting a new daycare or daily schedule; and more. For our family, my soon-to-be four year old has journeyed with us through home stagings and immaculate moments, to us selling our home, and talking about a new place. Now boxes line the hallways, rooms get emptier, and we speak often of moving to a new house. Despite his excitement, there are still days when anxieties sneak through and manifest in acting out. One afternoon, he snapped. Crying, flailing his limbs, and then waving a sword spatula, he attacked one of the packing boxes in the living room. Poor guy. Getting down to eye level, I hugged him, rubbed his back, and we talked. Whatever your three, four, or five year old is processing, the start of summer can be a common time for emotional meltdowns. 1.) Give them visuals. So many of a person’s fears are rooted in the unknown: unknown territory of having the siblings home all day and no normal schedules; unknown territory of a drastic move, etc. Help your preschooler visualize the changes by talking through what it may look like. Check out library books that help them visualize other characters walking through similar changes. We read through The Berenstain Bears’ Big Move many times these last two weeks, watching Brother Bear bring up many of Daniel’s unknowns. Life presents many opportunities for change, and anxiety is normal. Use these moments to model and teach your preschooler valuable methods of coping. Help them visualize the unknowns, learn to articulate their emotions, and give them permission to feel and process these. Invaluable skills for us all, huh? A summer rain fell heavy all day today. It smells wonderfully fresh and cool outside. Our windows are flung wide, and my preschooler drives tiny cars across Barbie boxes. The carpet is strewn with toys and packed up boxes. What has your day been like today? What lays in view around you right now? Sorry for missing this one, Jen. The line; "Give them Permission!" is now a tagline of a milk brand here in the Philippines. It says that when you say the word-line, "Yes you can!" it prompts them to lean on their own, without fear.... and I do believe that learning hands on, plus a lot of our couching, sure would launch them into achieving and accomplishing. thanks for all the tips, Jen.